The Netherlands' oldest active stadium will soon see an expansion. Nothing too big, but more than enough for second league. At the same time Sparta Rotterdam have assured their supporters that the legendary 'castle' will not be touched. Spart is the oldest professional football club of the Netherlands. Their stadium, nicknamed Het Kasteel (The Castle), is also the oldest existing ground, dating back to 1916. Since late 2018 the venue is once again entirely owned by the team, which acquired its last elements back from the city. That step enabled work on expansion. 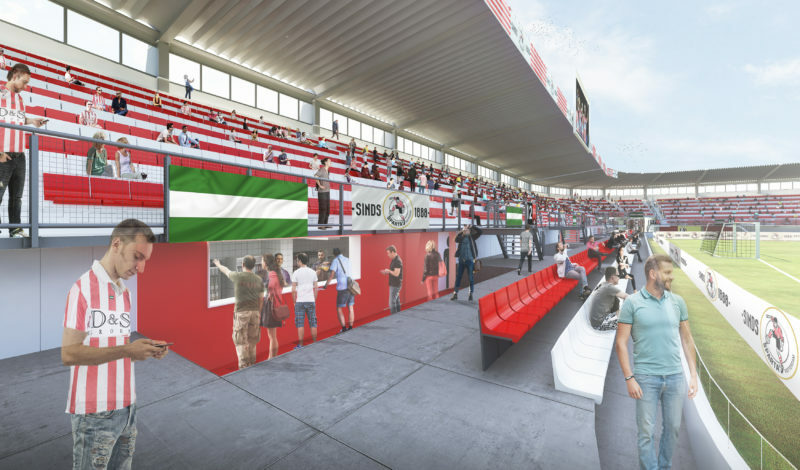 And, though Sparta are still a second-league club and they're still in talks with the city over such step, in January the club has shown its supporters what would change in the near future. We should note that vast majority of the stadium is relatively new, dating back to 1999. The 1916 part is limited only to the central section of the south stand, famous for its two castle-like towers. It's the new parts that are getting changed, Sparta went out of their way to assure everyone that the historical part is off limits. What will change is the position of the field. Its entirety will be lowered in order to allow installation of two additional rows between current front row and the turf. Behind the backs of new front-row viewers the catering kiosks will be expanded, still enabling fans to order and watch the game at the same time. The two new rows will bring an increase of 1,100 seats. Additional 12 skyboxes should complete this round of expansion, bringing the total capacity to 12,500. Boxes will come as part of the main building (north stand) expansion. Aside from the hospitality area's growth, the stadium will get an expanded media working area and new, vast lobby. 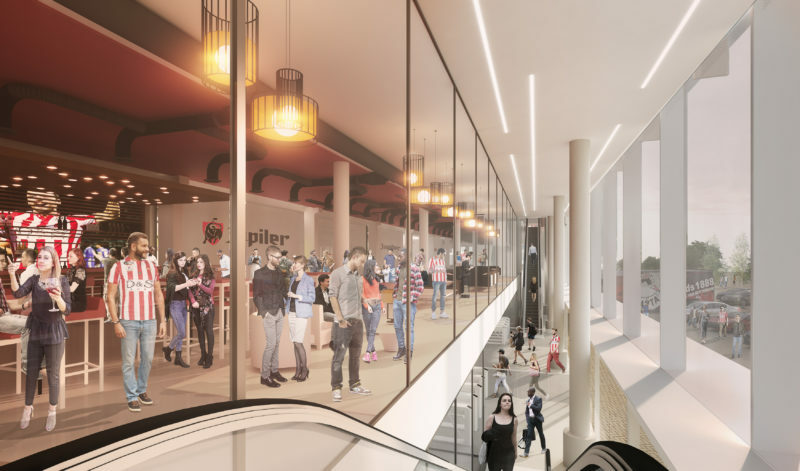 The northern building will get a new glass facade, changing the stadium's secluded atmosphere by showing what goes on inside. 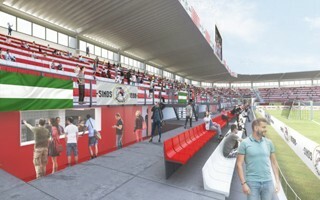 With these changes Het Kasteel should not only better suit the needs of Sparta, it's also expected to welcome tournament games of youth and women's national teams, for which the infrastructure is not sufficient at present.